I can't believe you don't have THAT in your collection!!! Post a game for the poster before you that you just can't believe that person doesn't own. Additional game suggestions for the same user should be posted in the comments for that game. Edit: don't forget to thumb the list so more people notice it & participate! 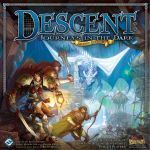 Looks like you've got co-ops in there, along with asynchronous play games, and plenty of fantasy; Descent should be an easy fit in your collection, and it's got hours of really good times inside. Okay, I'm ready for my abuse! 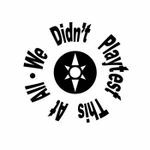 I see all kinds of classics, and several big group games that focus on fun and theme over balance (Bang, Flux, Betrayal). I cannot believe this isn't in your collection. Crazy stuff happens, and it is more important that you laugh then that you even got a turn. Like your collection by the by. Master Ludi, I can't believe you don't have Times Up you have a fantastic collection of games and a decent selection of party games but you don't have the best one. What? No TS? 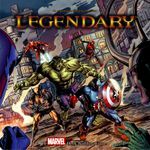 Highestvrated game on BGG and you have not even played? Time to grab this one. You have an impressive collection of GMT games, but why in the world are you missing Sekigahara? Great collection. With War of the Ring on top, you NEED this expansion. It is such a blast! Wow. You have a very streamlined collection, full of games that I love, but why (let me ask that again), why do you not have Galaxy Trucker? Interesting - you own Small World and give it very high rating, but no expansions in collection? I just can't believe it. Expansions add so much to this already wonderful game. Stuart, you seem to enjoy card games with both strategy and manipulation and you also have descent is high up on your list. This game would be awesome for you I think, and its by Australian designer Phil Walker Harding. 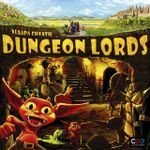 Its semi-cooperative with the winner being the person with the highest gold so long as they don't have the highest wounds (that person dies on way out of the dungeon). The game play is quite strategic with careful use of turn order and powers to manipulate people into playing what you want them to play and saving your good cards. Lots and lots and lots of clever fun. And dirt cheap. Hope you get to enjoy it too. I see you've liked some of Vlaada's stuff and really seem to enjoy action programming, why not his finest work (in my humble opinion)? I'm surprised you don't own this Dominion expansion. You have all of my other favorites, but this one adds a lot and most people love the Duration cards. Hey Cyrus, what an unusual, yet suitable collection for a Renaissance Man. But I Can't believe you don't have Kremlin. It's a very irreverent look at politics in the Russian politburo, most clearly made evident by the names of the politicians (such as Shootemdedsky, for example). It has some terrific strategic elements as you use purges and inquisitions to attempt to control the Leader of the party--and then hope he can stand up on his own to wave at the parade at the end of the turn. Great laughs, great play. Would compliment your collection very well. I notice you do not subscribe to the cult of the new and have a pretty impressive collection of games from the 70s and 80s, many of which are war games or based around combat. So where is this little gem? Eh?Eh? I can't believe you don't have Seastrike in your collection! After diplomacy and kingmaker it was my most played game in my youth. With the strike-distance measuring ruler and laminated ship-counters you could write on,it was brilliant. I am sure you need it. 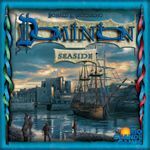 I love Dominion and I like the added twist of being coop with this deckbuilder.